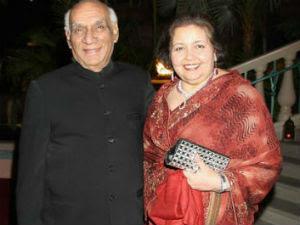 Old memories got stirred up with the sad demise of a legendary phenomenon called Yash Chopra. 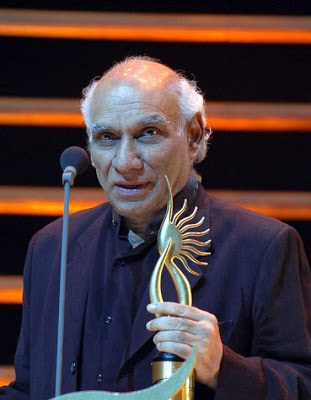 Missing a great stalwart like Yashji is a huge loss to the film Industry. Film industry is a glittering world full of talents, but a few dignitaries like him keep an everlasting impression of their own on it. The veteran filmmaker and “King of romance” passed away in Mumbai on 21 October 2012. This journey called Yash Raj Chopra started in September 27, 1932 when youngest of eight children Yash was born at Lahore. Initially being a film journalist he tried to make a career in engineering, but his passion for filmmaking attracted him towards the glamorous world of cinema. Instead of going to London for further studies in engineering he tried joining his brother filmmaker B R Chopra as an assistant. He was keeping an ambition of becoming a film director. His brother diverted him to I S Johar for getting the initial lessons of film making. After taking a few lessons from Johar he joined his brother B R Chopra. There he worked for two years as an apprentice. He was offered first opportunity to direct a film called Dhool Ka Phool in 1959 which he fulfilled successfully. Encouraged by the success, Chopra brothers together made many movies like Waqt and Ittefaq. Yash Chopra received his first ‘Film fare award’ for directing the film ‘Waqt’ in 1965. Another milestone for him was making of film ‘Ittefaq’ which was a low budget film made in just a months period. It was recorded as Bellwood’s first movie without an interval and song. This film rewarded Yash with “Best director film fare award”. After this initial success shared with his brothers he worked alone and made landmarks by giving films like Deewar, Trishul, Silsila and Chandani. Then getting separated from his brother B R Chopra, Yash established a production house in 1971 called ‘Yash Raj Films’. Year 1973 was a year of great achievement for him when he made Yash Raj Film Studio in Mumbai. Super hit film ‘Daag’ opened the account of many block busters which YRF gave to the film industry. Somewhere in this period Yashji introduced ‘Amitabh Bachchan’ as the angry young man in “Deewar” and then a non stop era of giving super hit films one after the other continued. During the period when film industry was revolving mainly around topics of social problems and love stories, it was this great film maker who gave a new direction. This proved to be a revolution in Hindi cinema which made Amitabh a superstar, with a solid image of angry young man in the movies hitting box office one after the other. A few years in the eighties was a setback for YR films but again he came on the success track, this time making a little change in his topics. His film Chandani received National Film Fare award in 1989 which was a great come back for the veteran film maker. In 1991 ‘Lamhe’ was credited the biggest Bollywood hit in overseas market. His recent films reflected his love for Switzerland where he made many of his modern era films. Bagging reputed film awards was an easy task for him. He won eleven Film fare awards for his outstanding films and the topmost reward Padma Bhushan in 2005. Through out his life till his demise he lived a life of a dedicated gentleman in the film industry. We at Panoramic group’s Magic Holidays pay a hearty tribute to this all time young film maker, who left behind lots of beautiful memories and many things for the coming generations to learn from.